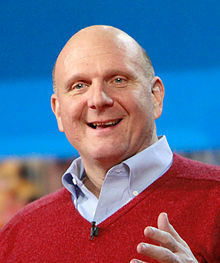 Microsoft has made an announced that Steve Ballmer will retire as CEO within the next 12 months. Steve Ballmer is CEO of Microsoft, headquartered in Redmond, Washington. He joined Microsoft in 1980 and was the company’s first business manager. Before becoming CEO in 2000, his roles at Microsoft included senior vice president of sales and support, senior vice president of systems software and vice president of marketing. During all this The Board of Directors has appointed a special committee to direct the process. This committee is chaired by John Thompson, the board’s lead independent director, and includes Chairman of the Board Bill Gates, Chairman of the Audit Committee Chuck Noski and Chairman of the Compensation Committee Steve Luczo. There was an internal mail to all the Microsoft employees from CEO Steve Ballmer regarding his plan of action on retiring. “I am writing to let you know that I will retire as CEO of Microsoft within the next 12 months, after a successor is chosen. There is never a perfect time for this type of transition, but now is the right time. My original thoughts on timing would have had my retirement happen in the middle of our transformation to a devices and services company focused on empowering customers in the activities they value most. We need a CEO who will be here longer term for this new direction. You can read the press release on Microsoft News Center. Previous Previous post: What is HTML 5 ?